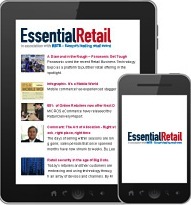 Essential Retail is a new trade e-magazine launched by Legend Exhibitions in association with the Retail Business Technology Expo (RBTE). This entry was posted in News, Online & social media and tagged magazine publishing, media, new title launches, Retail news. Bookmark the permalink.